Austin Sandoval from Granite Bay, CA scored 4 under par for a 41 total. Sandoval won by two strokes over Brian Baumgarten. Last year, Sandoval lost the title by two strokes. 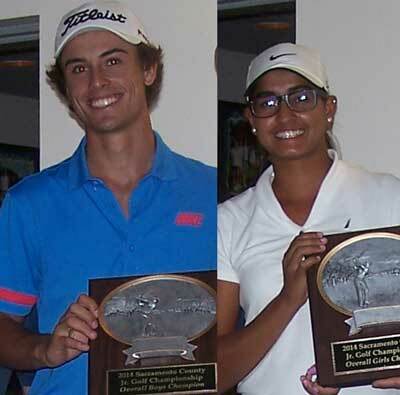 Gurman Kaur, Elk Grove, CA, won the Girls Champioship scoring a 2 over par 146 over Beah Cruz by just one stroke. Golf Council place winners are listed below.